Just stopping by with a quick post today. 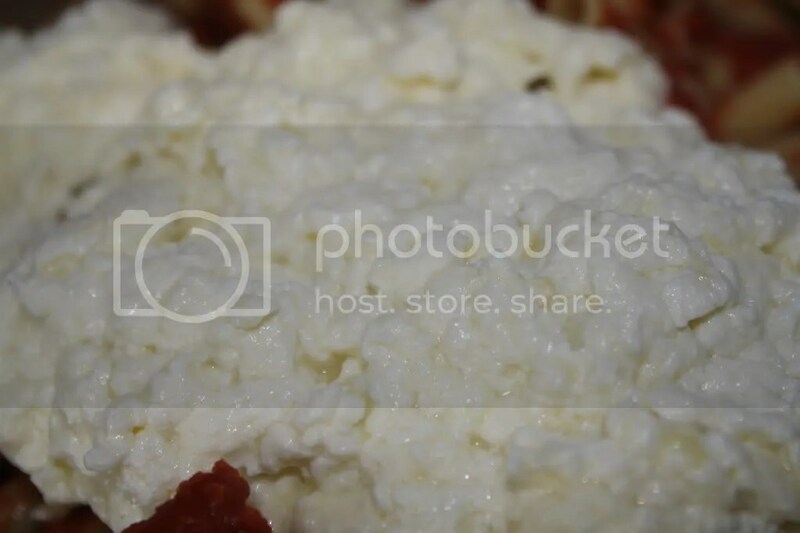 If you remember my post from a few days ago, I have some home made ricotta in the fridge waiting to be used. Easiest use? Baked Ziti. 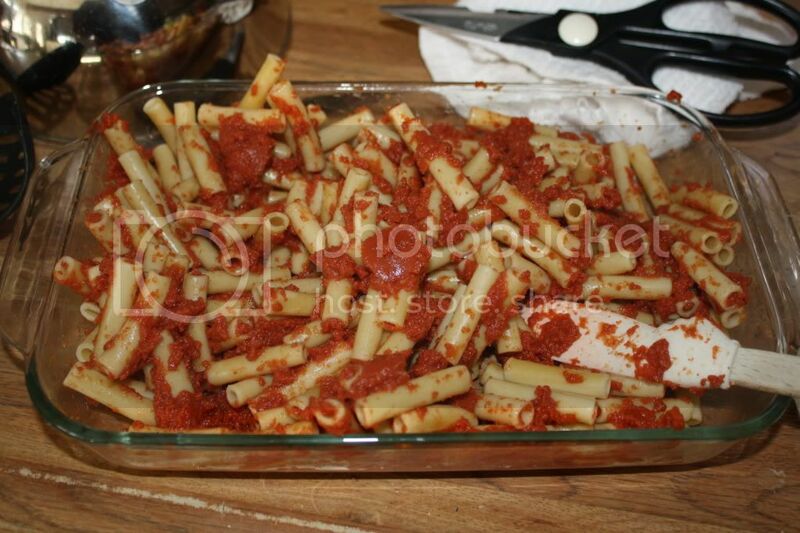 Step 2: Add John’s magical tomato sauce (there is no link to that because John doesn’t like me to take pictures of his food when it is cooking, so I don’t get to blog it often). Step 3: Add home made ricotta. Step 4: Bake at 350* until it looks done. If you are lucky, John adds a mini step 3.5 and shreds some cheese on top! 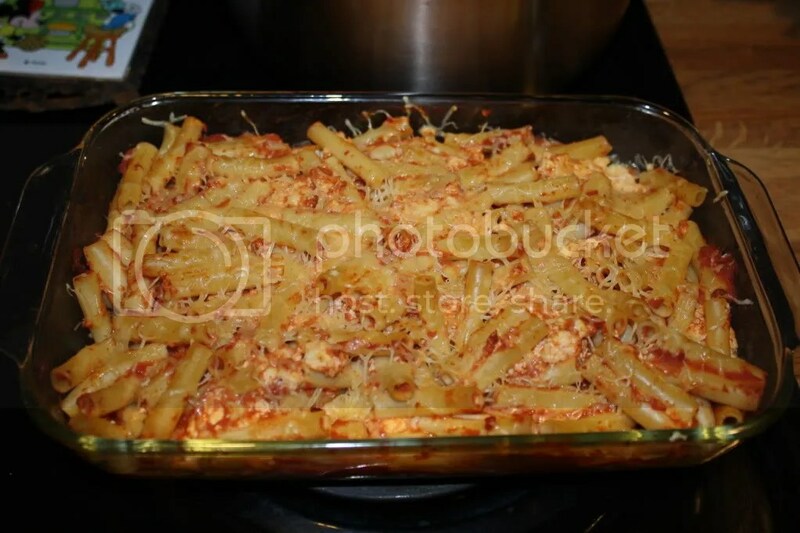 Categories: cheese, dairy, macaroni, ricotta, tomato sauce | Permalink. 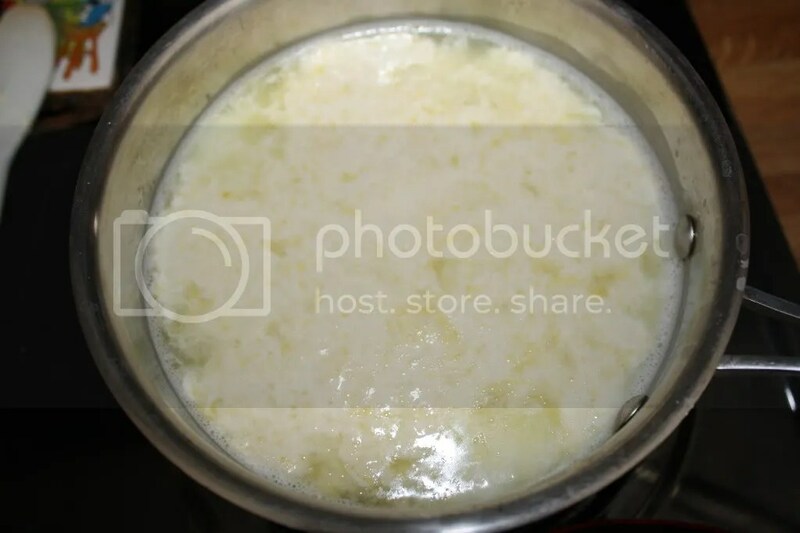 First, I warmed a half-gallon of grass-fed milk until it was about 190 degrees. 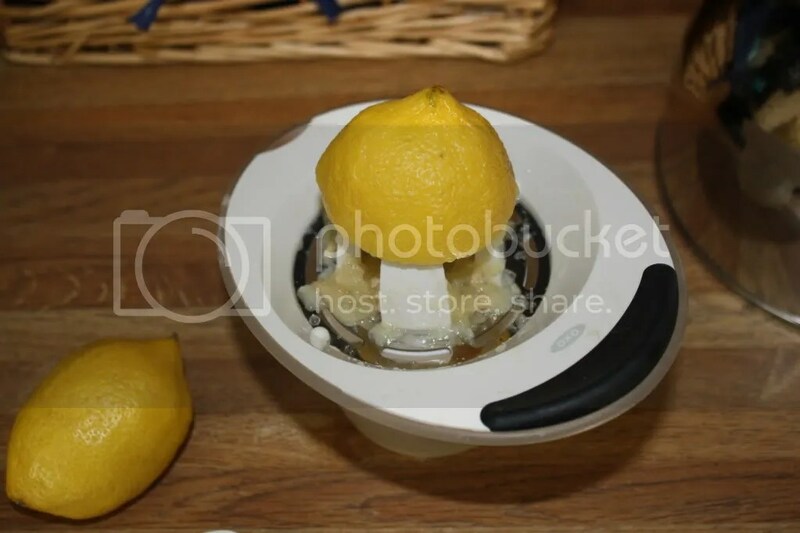 While it was heating up, I juiced a lemon. 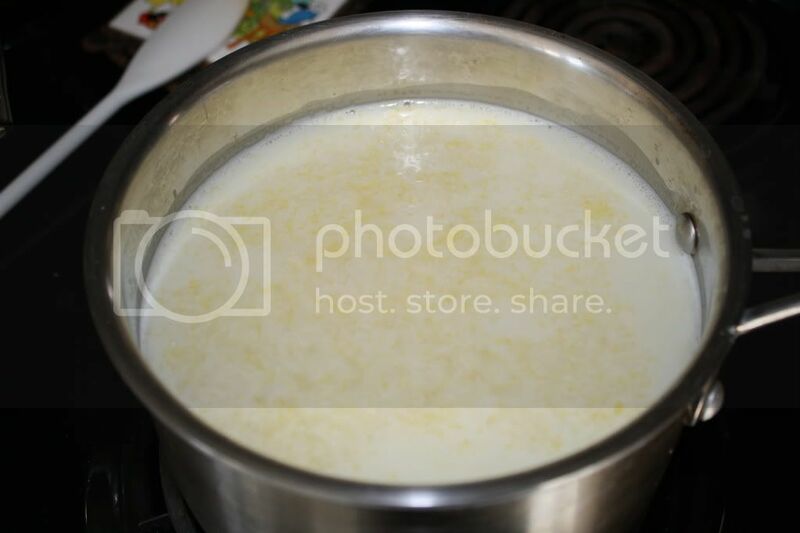 When the milk was at the right temperature, I added in 4 tablespoons of lemon juice. 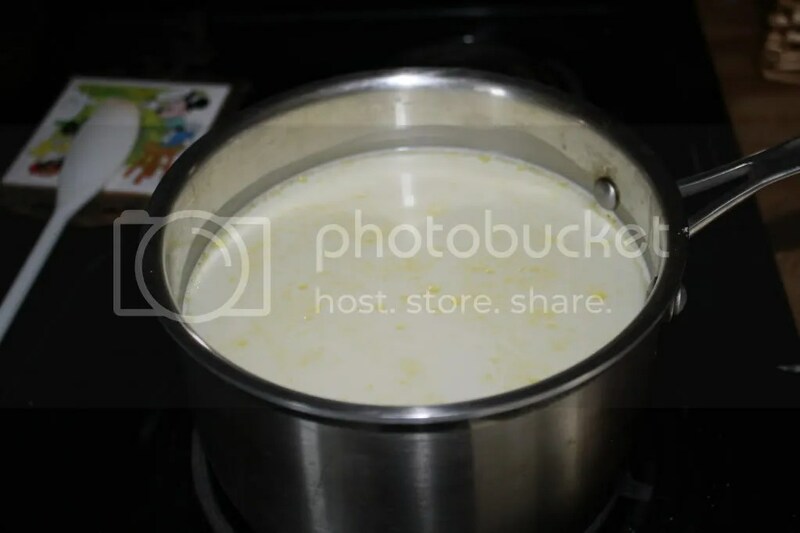 That is supposed to get the cheesey curds to separate from the whey. 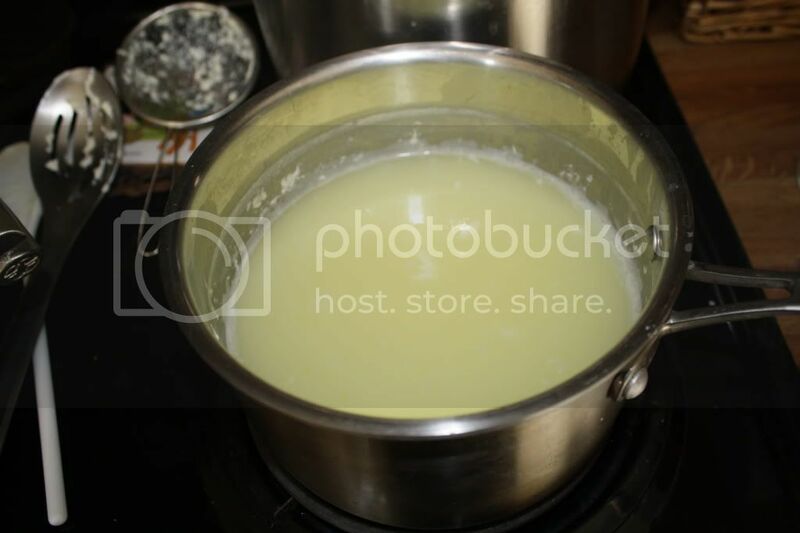 It didn’t really work, so I added in 4 more tablespoons of white vinegar. Then, we got some action. 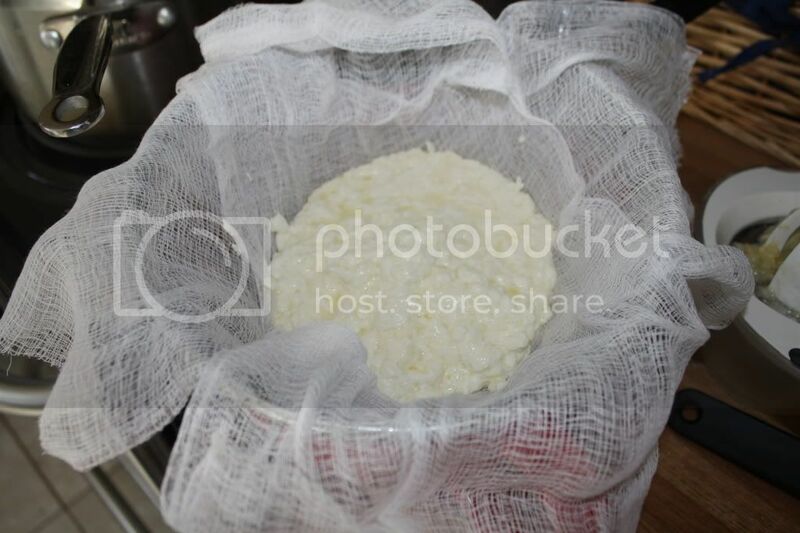 I strained out the curds and placed them gently into cheesecloth over a colander over a bowl to let the whey drain out. It was very tasty, but not as good as the restaurant ricotta. That is probably because theirs is REAL ricotta, made from whey left from making mozzarella, and mine wasn’t. Either way, I ate it and it was delish. AND I had all this whey leftover! Stay tuned to see what recipes all these goodies made it into. 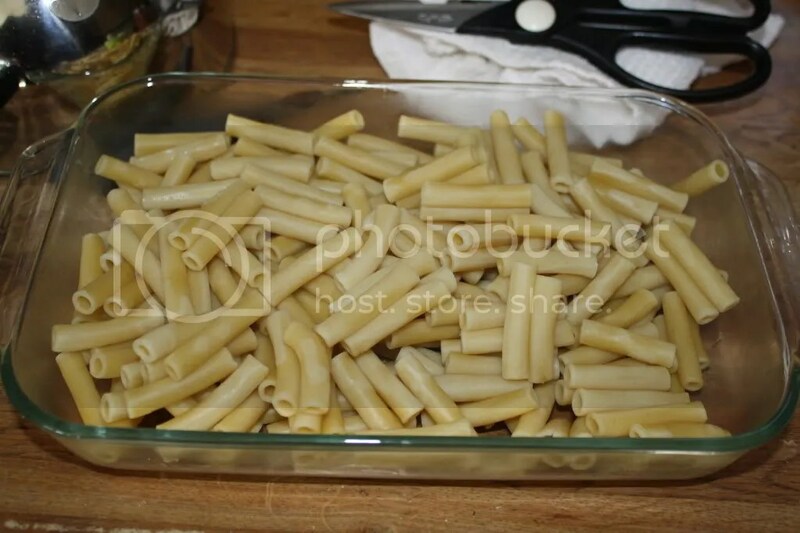 This post was shared with the Hearth and Soul Bloghop, Real Food Wednesday, and Your Green Resource! 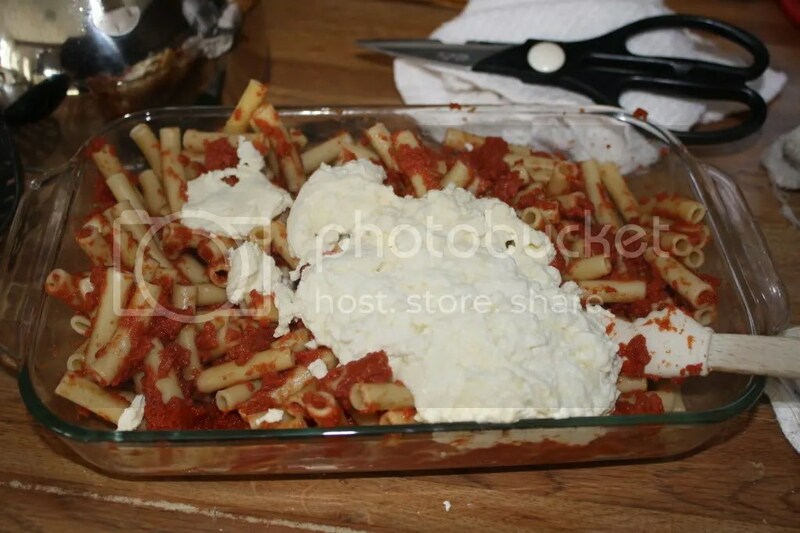 Categories: cheese, dairy, ingredients, ricotta | Permalink.